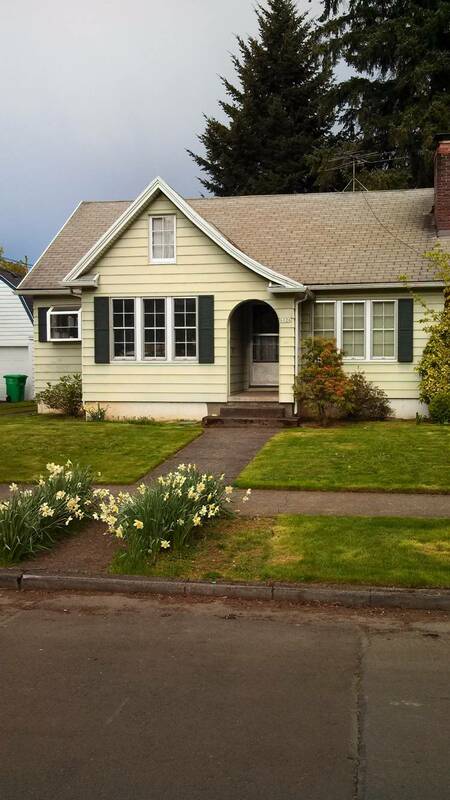 “Here is the house on SE 19th Street where Mom, Dad, Mary Lou and I lived for a year or so before moving to Yukon Street. The house is on the east side of 19th, second house from the corner of Yukon. I don’t remember anything about the inside of the house. I think the neighbors to the north were Mr and Mrs Short. Wid Bleything lived across the street and a few houses south.